I like this shot except what focal point has done to the foreground. I would crop it or shoot with more depth of field and raised the ISO. But i don't know your shooting situation so please don't be offended by my crit. Patrick.. 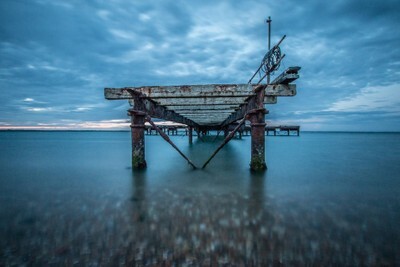 This old disused pontoon has been a location to photograph for ages, so I finally got a chance to snap it.